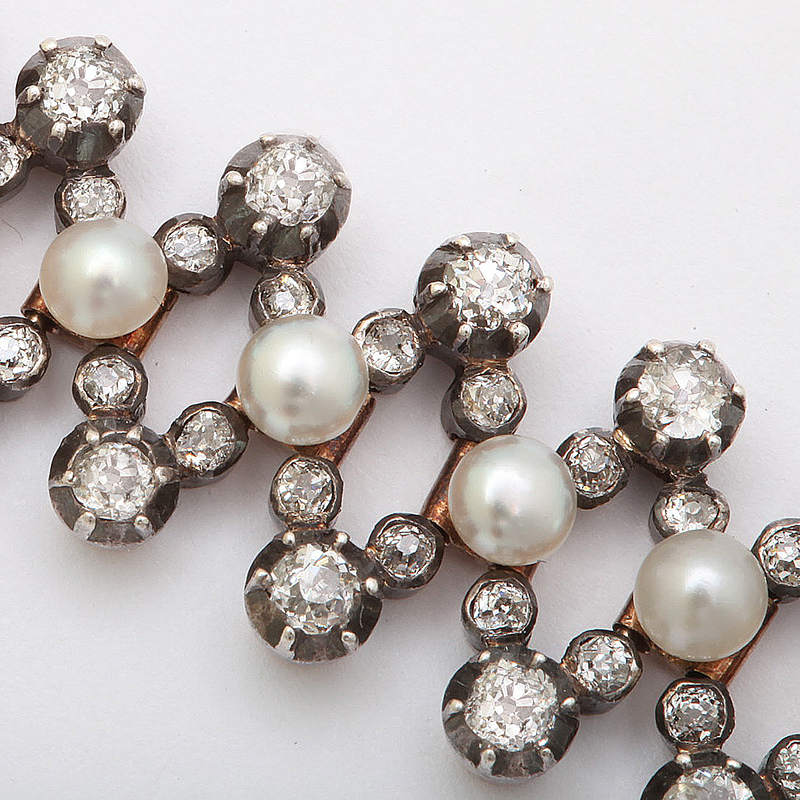 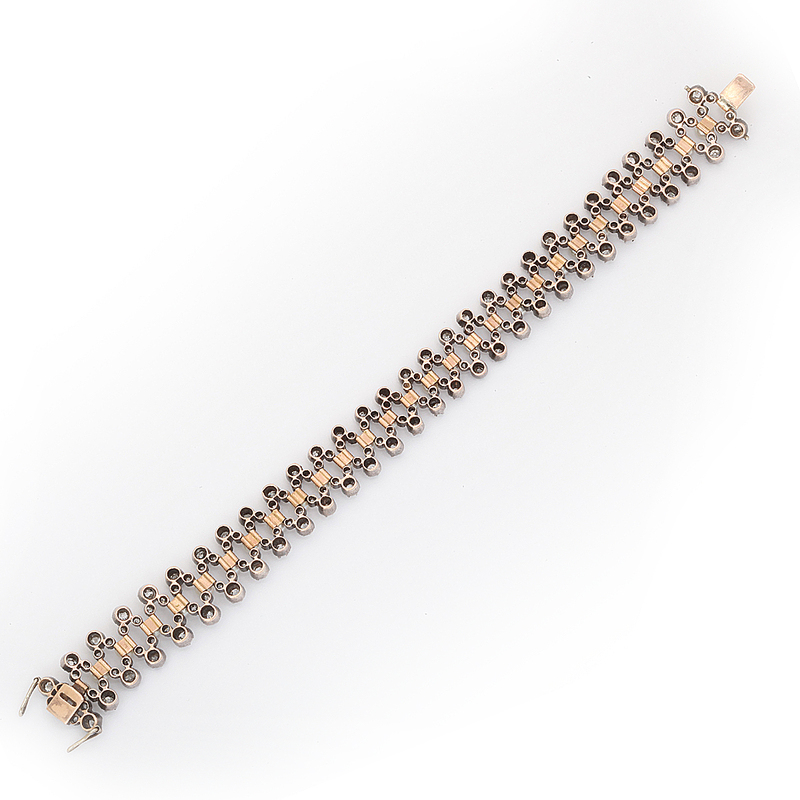 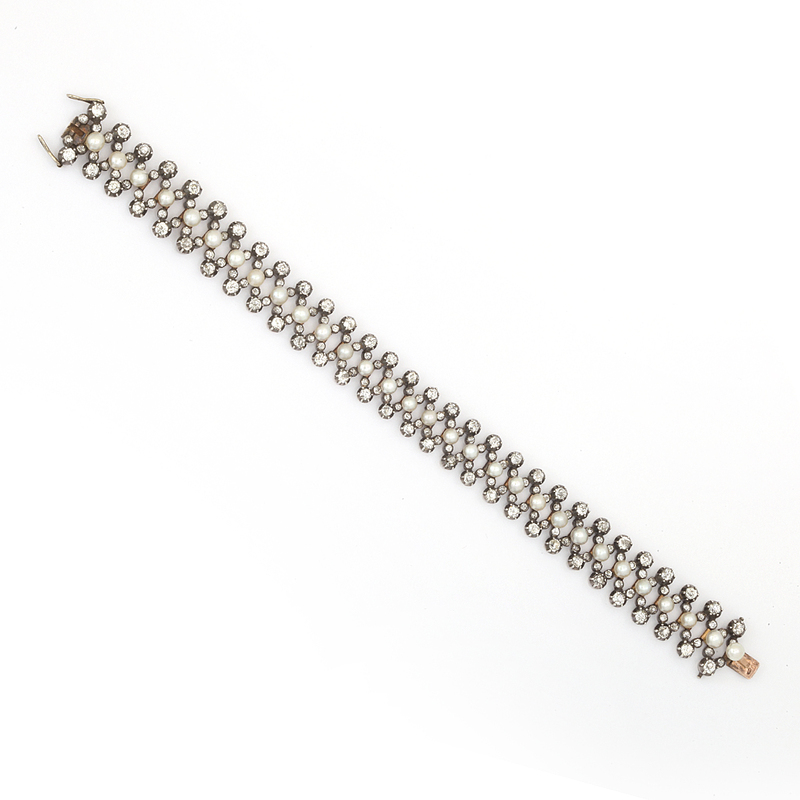 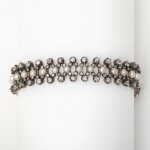 Natural pearl and diamond flexible bracelet, set in silver and gold. 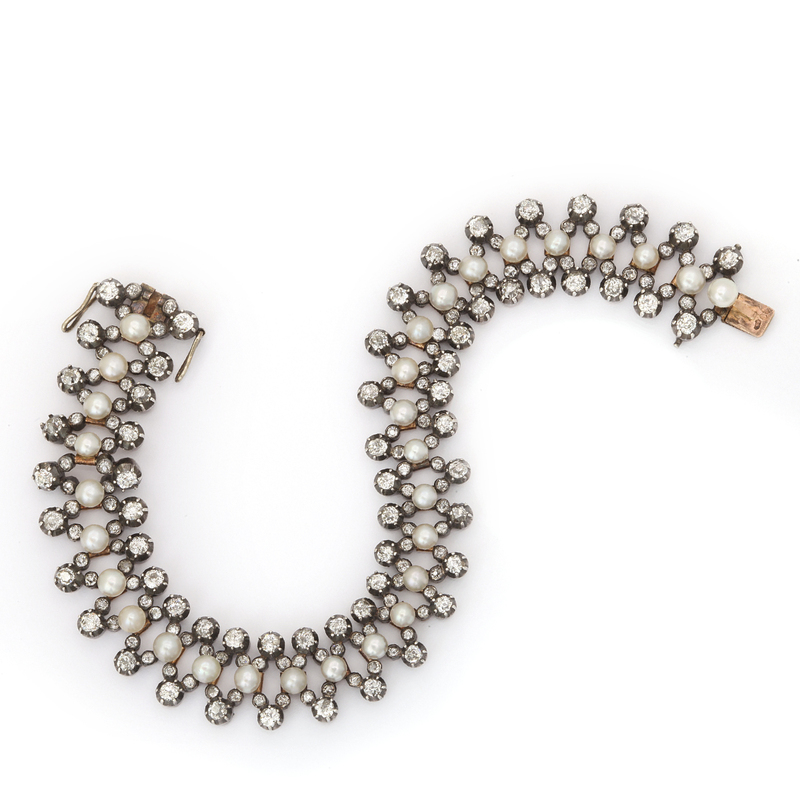 Circa 1890, possibly German. With French import marks.